White House senior adviser Jared Kushner, right, stands behind President Donald Trump, left, during a news conference as he announces a revamped North American free trade deal, in the Rose Garden of the White House in Washington, Monday, Oct. 1, 2018. Senior White House advisor Jared Kushner on Monday sought to play down growing tensions between the U.S. and Saudi Arabia over the killing of journalist Jamal Khashoggi, saying that the Trump administration is still "more of a fact finding phase" than a response phase. "With regards to the situation in Saudi Arabia, I would say that right now as an administration, we're more in the fact-finding phase, and we're obviously getting as many facts as we can from the different places, and then we'll determine which facts are credible," Kushner told commentator Van Jones at a Citizen by CNN forum in New York City. "After that, the president and the secretary of State will make a determination as to what we deem to be credible and what actions we think we should take," said Kushner, who is also President Donald Trump's son-in-law. Kushner's comments reflected one side of a two-sided debate that is taking place within the Trump administration, over how forcefully to respond to Khashoggi's reportedly brutal and extrajudicial death. The killing has sparked international outrage at Saudi Arabia and at its powerful crown prince, Mohammed Bin Salman. Who is MBS? The prince at the center of Saudi Arabia's controversy from CNBC. Kushner is the closest ally that the crown prince, often referred to as MBS, has within the Trump White House. Both Kushner and MBS are in their 30s, and extremely rich and powerful. Their relationship is based on both personal affinity and geopolitical opportunity. Kushner also emphasized the importance of Saudi Arabia's role as a U.S. ally in the Middle East, and said that broader "strategic objectives" should play a role in determining America's response to Khashoggi's suspicious death inside the Saudi consulate in Istanbul earlier this month. "We have to be able to work with our allies, and Saudi Arabia's been I think a very strong ally in terms of pushing back against Iran's aggression, which is funding a lot of terror in the region, whether it's the Houthis in Yemen or it's Hezbollah or Hamas, we have a lot of terrorism in the region," Kushner said. "We have to be able to pursue our strategic objectives, but we also have to deal with, obviously, what seems to be a terrible situation." 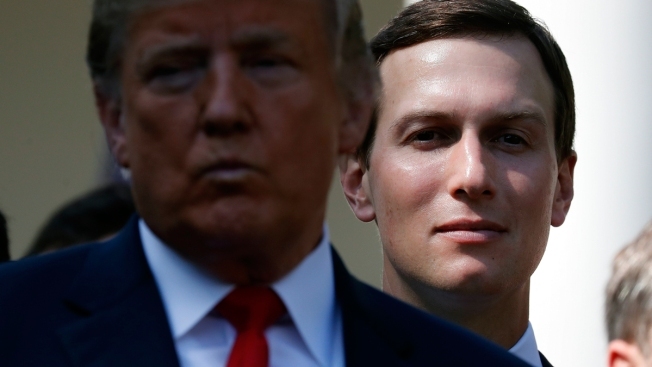 Asked by Jones what advice Kushner had for Mohammed bin Salman about how to handle the Khashoggi affair, Kushner advised the crown prince, "just to be transparent. Fully transparent. The world is watching. This is a very very serious accusation and a very serious situation. Just to make sure you're transparent and to take this very seriously." But so far, transparency has been almost entirely absent from the Saudi response to Khashoggi's death on Oct. 2. For nearly two weeks, Saudi officials insisted that Khashoggi had walked out of the Saudi Consulate after a brief visit to apply for a marriage license. Evidence quickly mounted to indicate that this was not what happened. Security footage and visa travel documents showed that more than a dozen Saudi intelligence officers arrived in Istanbul in the days before Khashoggi was killed, and left immediately afterwards. The Turkish government also said it had tapes showing Khashoggi was tortured, murdered and dismembered inside the consulate. Turkish officials have yet to make any such tapes available to the public, but they offered a gruesome counter narrative to the Saudi version of events. On Friday, Saudi Arabia completely changed its story and admitted for the first time that Khashoggi died inside the consulate. The kingdom claimed that a fight that broke out between the nearly 60-year-old writer and several Saudi intelligence operatives, and that Khashoggi was killed in the fight. Saudi officials also said that several people had been arrested in connection with the death, although they declined to identify them. The Saudi explanation and response, however, failed to address several key questions about Khashoggi's death. It was received with almost universal skepticism by both American foreign policy experts and U.S. allies overseas. It was unclear whether this unsubstantiated Saudi account of Khashoggi's death is one of the "facts" that Kushner was talking about when he said the White House was gathering facts to determine which "facts are credible." A White House spokesman did not return a request from CNBC to clarify Kushner's remarks. Trump has so far resisted calls to punish Saudi Arabia for the killing. But it was clear this weekend that the president has grown frustrated with the shifting Saudi stories about what happened. "Obviously there's been deception, and there's been lies" coming from Saudi Arabia, Trump said in an interview with The Washington Post on Saturday. But Trump stopped short of accepting the theory that Khashoggi's killing was ordered or approved in advance by MBS, a theory that, if true, could poison the U.S. relationship with Saudi Arabia's de facto leader. "Nobody has told me he's responsible. Nobody has told me he's not responsible. We haven't reached that point ... I would love if he wasn't responsible," Trump said of the crown prince.